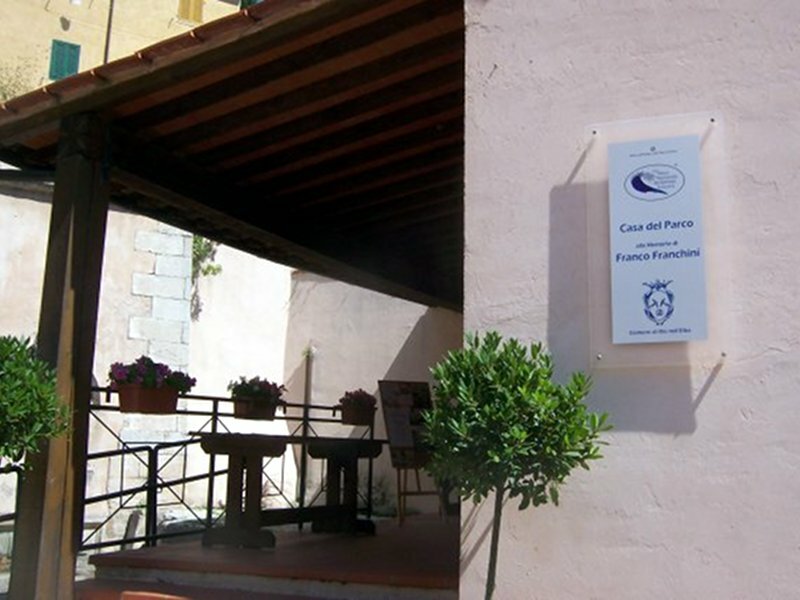 The Park House, an ancient wash house, is situated in the town center of Rio nell'Elba, in Loc. I Lavatoi, and covers an area of about 65 square meters. It is a reference and welcome point of the Park, as well as a visitor center dedicated to the features of the eastern slope of Elba, that is mining traditions. The premises are divided into two areas: a tourist welcome center, where it is possible to have a look at the publications and brochures on the National Park, and an area consisting of a circular display cabinet where two screens for the projection of thematic videos and two computers with interactive softwares on the nearby Valle dei Mulini have been set. Moreover, there is a section dedicated to minerals, where it is possible to observe the features of the main minerals of Elba Island that have been extracted by miners for generations. Outside the Park Area there are the new Wash Houses (1907), where the water coming from the nearby spring crosses the building with a concrete cistern and flows into the ditch giving origin to Valle dei Mulini.